head-wa-ters (noun): the upper tributaries of a river. If you look out the window as you fly over Florida, you’ll see much of the land is undeveloped. As you near Orlando though, you’ll see a great deal of housing, roads, city buildings, and theme parks. Central Florida can be a very urban place – it’s encouraging that even in the midst of all the development, there are a great many areas where you can experience nature, wildlife, and beautiful landscapes. Many places I visit are fairly well-known. But I had never heard of Shingle Creek before reading Wild Florida Waters, by Doug Alderson – a book about exploring Florida via kayak and canoe. Driving through Kissimmee, Florida in the middle of airports, fast food, shopping malls, housing developments, and theme parks, you might not even notice this waterway – but you really should look for it. The first pioneer settlement in the Central Florida area was along this creek. Settlers cut down old growth cypress to use for shingles, hence the name. Shingle Creek is also generally considered to be the northernmost headwaters of the Everglades. The creek begins in a swamp very close to I-Drive where thousands of tourists visit the convention center and theme parks and go shopping every day. It flows into Lake Toho in Kissimmee, then into the Kissimmee River system and on through south Florida to the Everglades. I see different numbers for the size of Shingle Creek Regional Park. One source says that it’s about 456 acres, another says that over 1000 acres have been purchased. Either way, it’s large and the landscapes are beautiful. 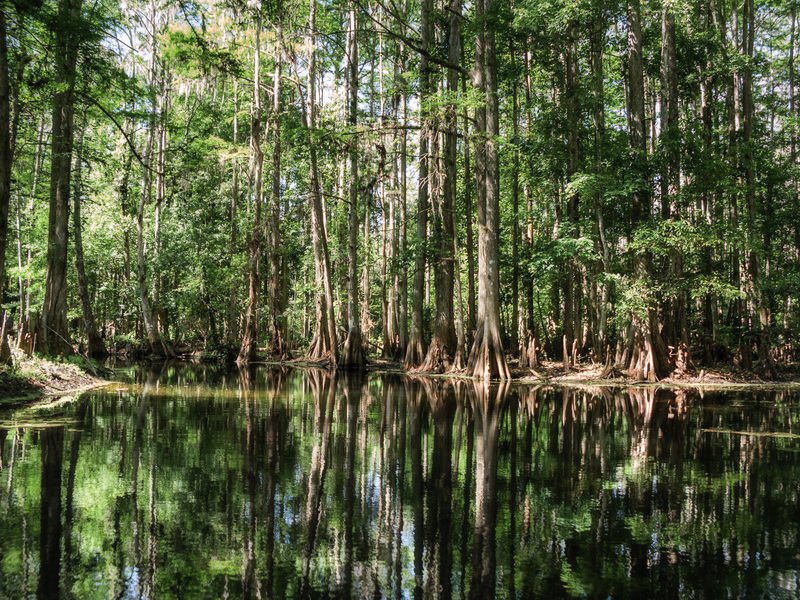 There are trails to hike and bike and if you have a canoe or kayak you can venture into some very thick cypress swamps south of the Steffee Landing park entrance. You can see alligators, otters, water moccasins, ospreys, hawks, woodpeckers, limpkins, herons, egrets, and even bald eagles. It’s truly a wonderful oasis in the middle of urban Central Florida. I’m grateful we’re preserving it and I’m going back soon to explore more of it. 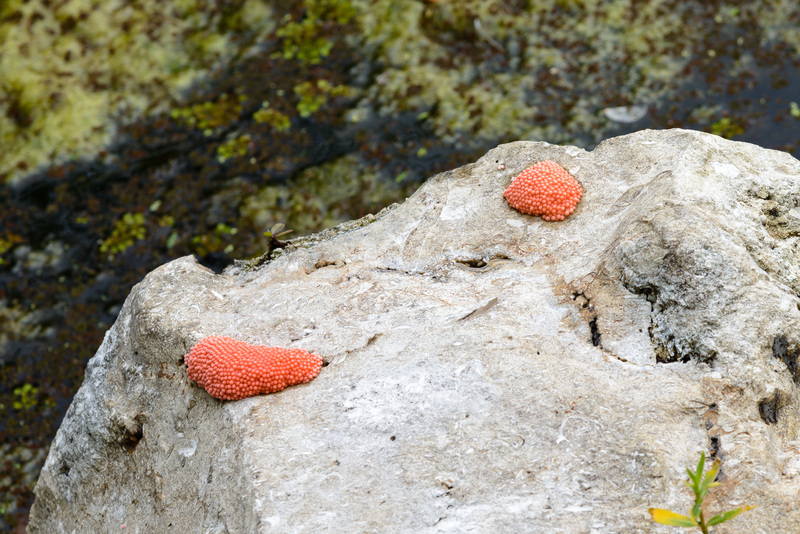 Apple snail eggs – These snails deposit their eggs just above the water line. Seeing them is a good sign of healthy water. The snails feed on an algae that grows on eel grass which helps filter and clean the water. Eel grass doesn’t grow well in cloudy polluted waters, so you won’t find Apple snails there. You won’t find Limpkins or Snail Kites there either because Apple Snails are a main part of their diet.